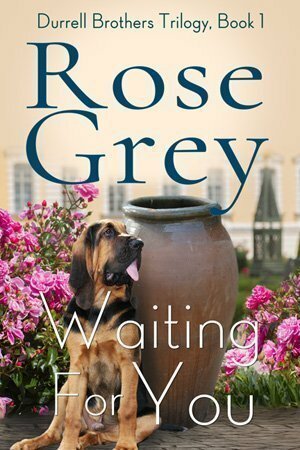 “Waiting For You” is Rose Grey’s third novel and the first in the Durrell Brothers’ Trilogy. The paperback version can now be purchased directly from Rosegreybooks.com! As soon as Max Durrell books a room at The Grand, Aidy Jones, hotel manager, signs up for a dating service. Aidy knows what she needs and Max Durrell isn’t it. Her ideal man is attractive enough to have children with but not attractive enough to fall in love with. Ideally, he’ll also have some roofing skills. The problems any day now The Grand will be his. And once Aidy learns Max is the one who is tearing her beloved hotel away from her, she’ll never want to set eyes on him again.